documents: Various Artists - "Jazz Satellites Vol. 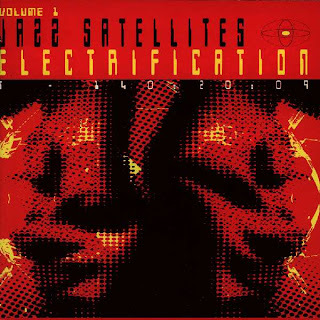 1 - Electrification"
Various Artists - "Jazz Satellites Vol. 1 - Electrification"
"Already too, the relic hunters were at Cape Kennedy, scouring the burning grass for instrument panels and flying suits and - most valuable of all - the mummified corpses of the dead astronauts. These blackened fragments of collar-bone and shin, kneecap and rib, were the unique relics of the space age, as treasured as the saintly bones of medieval shrines". Kevin Martin's 1996 compilation "Jazz Satellites Vol. 1 - Electrification" collected musical capsules orbiting Jazz in that music's exosphere - that layer of Jazz's atmosphere where it borders on the vast emptiness of space... The double album presented liminal music: Post Rock, Free Jazz, Electronica and Post Punk, even Industrial and Kraut Rock, all hovering on the threshold of Afro-Classical Music. The compilation's context was the Virgin ambient series, in which series four compilations were curated by Kevin Martin: two 2cd albums of electronic dub ("Macro dub Infection Vols. 1 and 2") and an album of experimental ambient ("Isolationism"; a compilation whose doomed ambition was to found a new musical genre). The earliest track collected on the album is Teo Macero's 1963 "Equals", and the most recent track is Post Rock band Ui's 1996 track "Drive Towards The Smoke"; but the vast majority of tracks date from the 1970-1976 period: Alice Coltrane, Miles Davis, Eddie Henderson, Jan Garbarek, Gil Melle, Sun Ra, Norman Connors, Stu Martin and John Surman, Roland Rahsaan Kirk, Joe Henderson, Headhunters, Don Cherry, Ornette Coleman and Herbie Hancock. Coming back to that compilation of the almost-Jazz and the not-anymore-Jazz more than eleven years (!) after it came out, one feels a little like the relic hunters in Ballard's short story. Listening to the music and perusing the liner notes, one feels one is not only scavenging the album for relics of space age Jazz but also for the remnants of a mid-nineties aesthetic that has now become mummified. That aesthetic is that period's Mondo2000 cyberpunk optimism of limitless faith in technology, internet, psychedelia and smart drugs; it is that era's discourse which presented studio technology as a musical instrument in it's own right (while what is or is not a classified as a musical instrument is a semiological question); it is that era's discourse which reappraised Miles Davis's electrified psychedelic music, presenting that reappraisal as a return of the repressed and as a revolt against Jazz critic's orthodoxy; it is that time's particular music critic's writing style, a style which would find it's culmination in Kodwo Eshun's cult book "More Brilliant Than The Sun". Though the aesthetic may have become mummified, the album is no less potent for that. 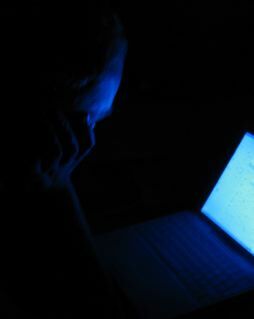 All tracks are surging with electrical power - not the electricity of Enlightenment and comfort, mind you, but rather the unholy energy that reanimated the dead body of Frankenstein's monster. There is one artists whose shadow falls over the compilation like the reanimated monster's shadow fell over Little Maria, the girl at the lakeside killed by the monster: Miles Davis. Listening to "Jazz Satellites" it is obvious how powerful Davis's hold over Kevin Martin's curatorial work is. There is no mistaking "Jazz Satellites" for any other compilation of space age Jazz, such as Soul Jazz Records' "New Thing!" or the "JazzActuel" compilation. Neither as tinged by exoticism and funk as the former nor as informed by Black Power politics as the latter, "Jazz Satellites" is another "...collar-bone and shin, kneecap and rib..." out of astronaut Kevin Martin's saintly body.